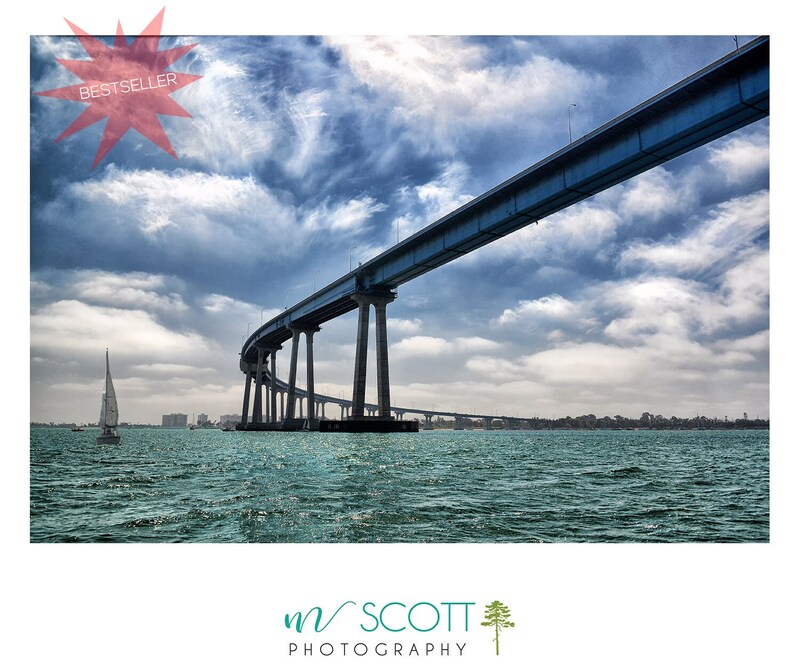 The Coronado Bridge, a San Diego Landmark and home to some of the best views of the San Diego bay. Photographed from a sailboat in the bay while passing under the bridge. Fresh perspective and dramatic clouds give the feel of being there! ✉ Set of 10 4x6" heavyweight note cards with kraft envelopes, Blank inside for your special message.